I was asked a question during the talk I wasn’t immediately able to answer which I’ve now found the definite answer. What happens to parallel tasks running in the background when the application exits? 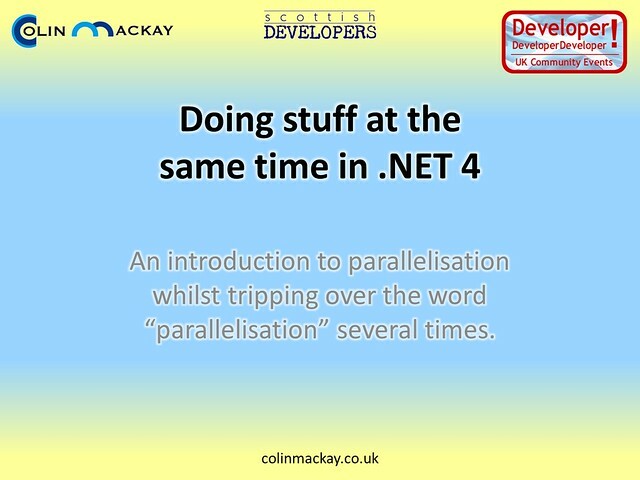 Here are all the examples from Saturday’s introductory talk on Parallelisation at DDD Scotland 2011.